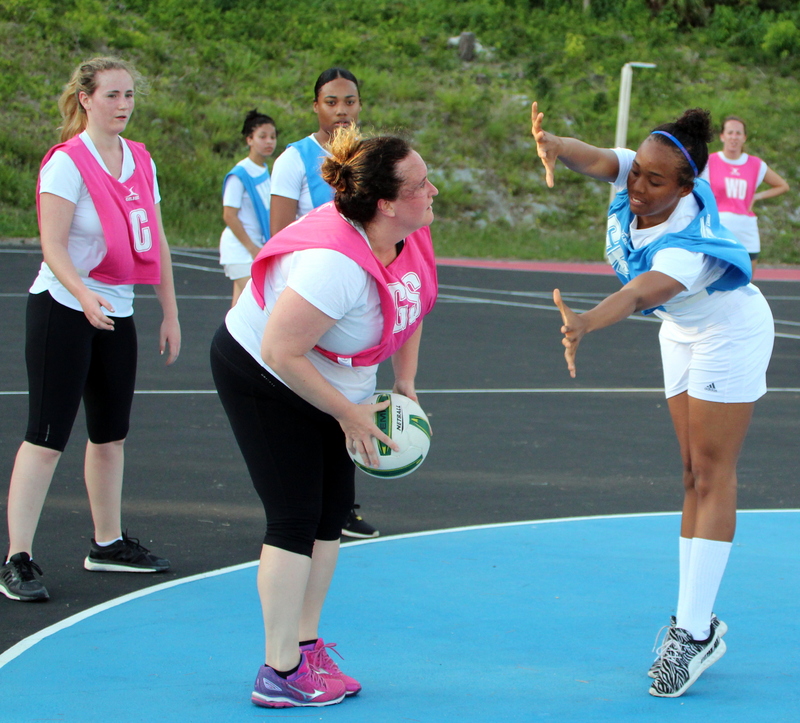 The Bermuda Netball Association’s Summer League season resumed with a double header. The BAC Women in Blue defeated PHC 30 – 17, Nikita Trott scored 22 goals to lead the BAC Women in Blue, while Darika Simons added 8 goals, Vernicka Symonds scored 9 goals for PHC and Sonja Townsend added 8 goals. Trott was named the BAC Women in Blue MVP, while Townsend was the PHC MVP, Helen Wilson was the BAC Women in Blue Best Attacker, while Debra Saltus was the BAC Women in Blue Best Defender, with Tinee Glasford the PHC Best Defender. The Bermuda Under 19 team defeated the New Kids on the Court 41 – 5, the Bermuda Under 19 team were led by Nabiiilah Nasir who scored 15 goals, Kaamilah Nasir added 10 goals, Selah Tuzo scored 7 goals, with Zariah Amory adding 5 goals and Debre Evans scored 4 times, Diara Benjamin scored all 5 goals for the New Kids on the Court. Amali Smith was named the Bermuda Under 19 team MVP, with Tuzo named the teams Best Attacker and Micah Pond was named the teams Best Defender.